The Watermain Flushing Program aims to maintain drinking water quality and increase the capacity of the distribution system by cleaning the pipes. This is done by forcing water through watermains at high speed and discharging it through hydrants, which are left open until the water runs clear. This fast-moving water flow scours and cleans out mineral deposits and sediment that have built up over time and settled at the bottom of the pipes. Residents are notified during watermain flushing and may experience a temporary discolouration of water while the watermain is being flushed. Any disruption should be short-lived. If you experience a loss of water that lasts for a long time, please call 311. Do not turn on your taps or flush your toilets. This could draw sediment into the water pipes on your property, water meter, hot water tank and into water filters. Turn off all time-delayed water systems, i.e. dishwashers, coffee markers, lawn sprinklers. On average, flushing can take 30 minutes to two hours to complete. You may wish to store a sufficient reserve of drinkable water for use during this time. 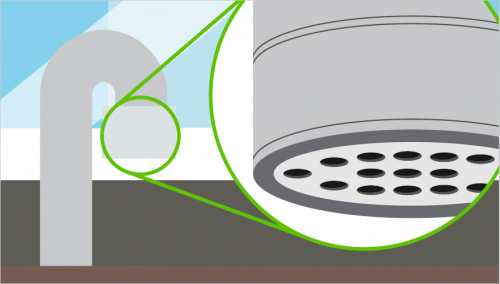 Remove the aerators (screens) from your taps. Turn on the cold water tap in the basement laundry room, or the tap located nearest to your water meter and main water shut off valve. Let the water run for 10 minutes. Place the aerators back on your taps.